You depend on your job for your livelihood, to help you pay for your basic necessities like housing, food and electricity as well clothing, entertainment and other expenses. Your job may give you benefits that make your life and finances easier like paid vacation, health insurance and a 401K plan. So, when your boss tells you to do something, you need to do exactly what you’re told, right? There are a number of reasons why it is beneficial and healthy for both you as an individual and the company for you to stand up to your boss, even though for many people, confrontation is difficult. In a recent poll, Bankrate.com found that more than a third (35%) of US workers rated their job satisfaction as mediocre to poor, a 6 or less on a 10-point scale. In fact, 11% said they were extremely dissatisfied, rating their job satisfaction as 3 or less. If this includes you, there are things you can do to change your situation so you can be happier at work, and one of them is bringing your concerns to your boss. The biggest reason people are unhappy in their jobs is that they feel disengaged from the company, and they start to question why they are there. An honest conversation with your boss will alert him or her to the problem, and may lead to a solution. As long as you are clear that your motivation for speaking up is to be able to do a better job for the company rather than just complaining, you should be able to get your boss enrolled as an advocate. Bosses are often unaware of problems among employees and this type of problem can cause productivity issues for the department, reflecting poorly on your boss. If this is the case, then by speaking up, you are really doing your boss a favor. When pointing out a problem, highlight how solving it can benefit your boss by showing his or her effectiveness as a manager. Sometimes when you bring up an issue that has been bothering you, you will find that your boss is also frustrated by the same issue but has no ability to change it. Express your willingness to work with your boss to help find a solution, if possible. Even if the problem is unfixable, you will have created a sense of camaraderie with your boss which can make you feel more connected to your workplace and colleagues. But what if it’s your boss that you have a problem with? Maybe your boss has a bad temper, has unreasonable expectations or gives vague instructions. If it’s a rare situation, you can write it off to your boss having a hard day. However, if it’s a regular thing, you need to speak up because the problem just is not going to go away by itself. Rather than bringing up the subject in the heat of the moment, schedule a time to talk to your boss one-on-one. When discussing the problem, talk about it in regard to how you are experiencing the problem, instead of using accusatory “you” statements. That lets you take control of the conversation, shows a real world consequence of the boss’ actions and avoids the need for your boss to get defensive. In addition to presenting the problem, come armed with possible solutions. For example, if your boss gives you unreasonable deadlines, say that you would like to work with him to plan the work schedule in advance so you can get a head start on time-consuming projects. If your boss has a bad temper, you can suggest that she give you a clear list of expectations so you can make sure that everything is done to her satisfaction the first time. Let’s say you like the company, but you feel that you should be earning more money or should have a better position in the company. Well before you plan to ask for a raise or a promotion, you should start looking for opportunities to talk to your boss. When you bring issues and possible solutions to your boss’ attention, you will show that you are observant, insightful, and have the best interest of the company at heart. You will also reveal yourself as a natural leader, who is suited for a position with more responsibility and the compensation that goes with it. 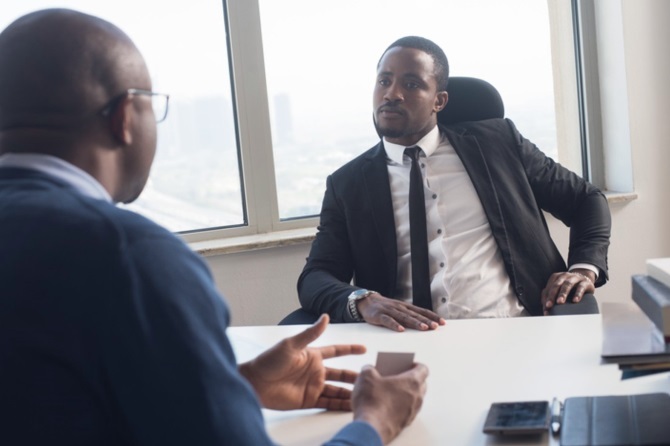 Even if there is no money in the budget for a raise or open position, your boss will respect you more and will tend to keep you in mind for future opportunities. Not only will the boss respect you more for speaking up, you will have more self respect because you did not bottle up your emotions and conducted yourself in a professional manner.